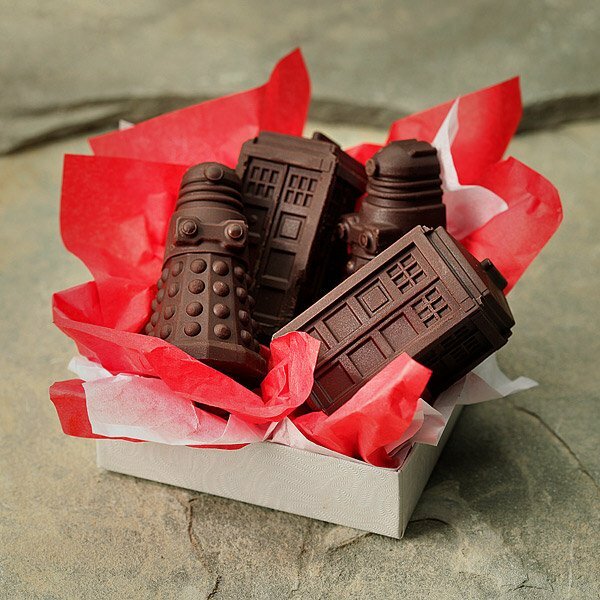 Doctor Who fans, exterminate your thirst and transport your tastebuds to a cool and refreshing place with some ice cubes made in the shapes of Daleks and the TARDIS. This silicone tray not only makes great ice cubes, but can be used to make candies in the shape of the good Doctor’s enemy number one or his faithful space and time machine. 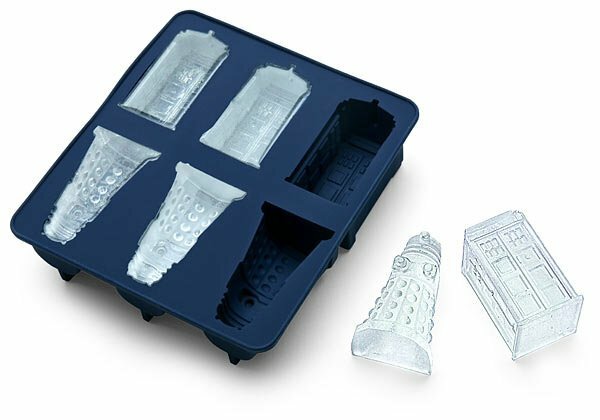 The Dalek and TARDIS ice cube tray is available from ThinkGeek for $12.99(USD). 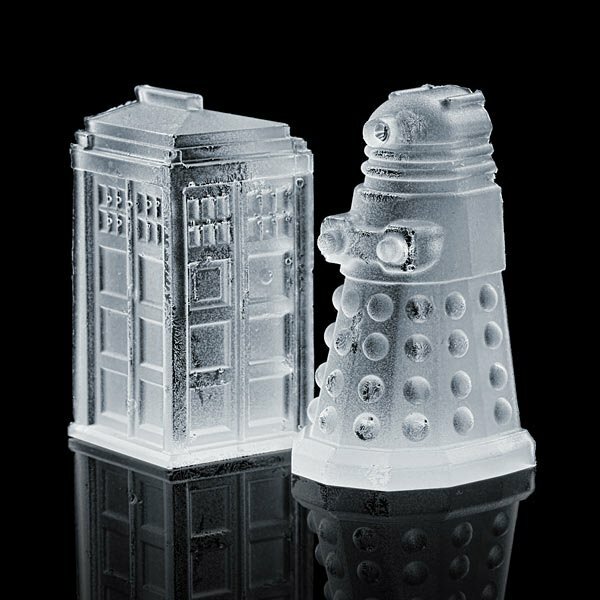 Pro Tip: Add some blue food coloring to your TARDIS ice cubes and some red or yellow dye to your Daleks for added effect. That gives me another idea: DalekPops and TARDISicles.